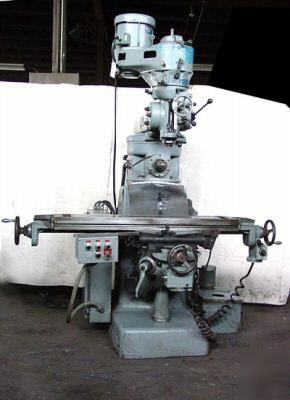 Center of table to column face Max 19 1/2" - Min 5 1/2"
Spindle Speeds variable speed 42 to 425 rpm back gear, 412 to 4200 srpm direct drive. Quill Feeds (3) - per spindle revolution .0015", .003", .006"
Spindle Speeds variable speed 42 to 425 rpm back gear, 412 to 4200 rpm direct drive. Supplying Quality Machinery and Tooling for Over 55 Years! !